Today’s news comes on the heels of Smith’s impressive rookie performance driving a limited ARCA schedule with Venturini Motorsports. 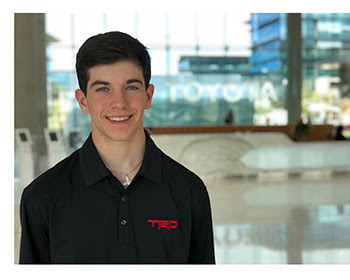 A standout member of Toyota Racing Development’s highly regarded TD2 program, Smith leaped onto the scene back in April making his presence known early racking up two wins and setting a new series’ record winning four consecutive General Tire Pole Awards to start his career. Competing in just nine of the tour’s 20 races in 2018, the Georgia native was a dominant force tallying 763-laps led during his limited schedule – beating out all full-time drivers and winning the series’ season-long Valvoline Lap Leader Award. With victories coming at both Madison and Salem, Smith’s recorded an average finishing position of 4.3 to compliment his average starting position of 3.3. Additional information including sponsorship details and ARCA’s event schedule for the 2019 season will be released as it becomes available. Smith will finish off the calendar year competing in his super late model starting this weekend at the All American 400 at the Fairgrounds Speedway Nashville and then cap it off with crown jewel of late model racing in December at the Snowball Derby which is run at Five-Flags Speedway in Pensacola, Florida. Over the last 35-years Venturini Motorsports (VMS) has evolved into one of the most recognizable names in professional motorsports. 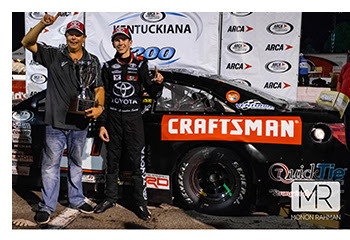 Known for long-time dominance in the ARCA Racing Series presented by Menards, Venturini Motorsports is held in high regard as one of the premier NASCAR driver development programs in the country. Since 2007, VMS has specialized in the career development of some of today’s top racing talent including current NASCAR “Stars” – Joey Logano, Erik Jones, William Byron, Alex Bowman, Ryan Blaney, Darryl ‘Bubba’ Wallace Jr., Daniel Suarez, Christopher Bell, Justin Allgaier, Noah Gragson, Ben Rhoads, Ryan Reed, Brandon Jones, Matt Tifft, Brennan Poole, Dalton Sargeant, Justin Haley and Todd Gilliland. Integrity, dedication and continuous innovation paired with years of on-track success has helped define Venturini Motorsports as one of the longest tenured teams in all of modern day racing. In 2012, the Venturini racing family was recognized for their collective achievements and inducted into the National Italian American Sports Hall of Fame – now finding themselves enshrined with such sports icons as Joe DiMaggio, Mario Andretti, Chip Ganassi, Andy Granatelli, Vince Lombardi, Tommy Lasorda and Rocky Marciano.